Without a doubt, having at least a basic level of professionalism in your school is essential to your success as a martial arts instructor. No matter what your level of skill as an instructor, if you present an unprofessional appearance or demeanor, prospective students that might have enrolled at your facility will likely choose another instructor instead. In this podcast episode, Mike delves into why professionalism is important to your success as a school owner. In addition, he examines three areas of your school’s operations where you may be falling short, and provides suggestions on how to increase your level of professionalism so you can attract more students. Also, in the tip of the week, tips on how to greet prospective students professionally. How professional is your school? This is an area that is typically ignored or taken for granted in martial arts schools, yet I have observed it to be a pivotal factor in the success of many, many schools. So, here are some areas where you may consider evaluating and improving the level of professionalism in your school. 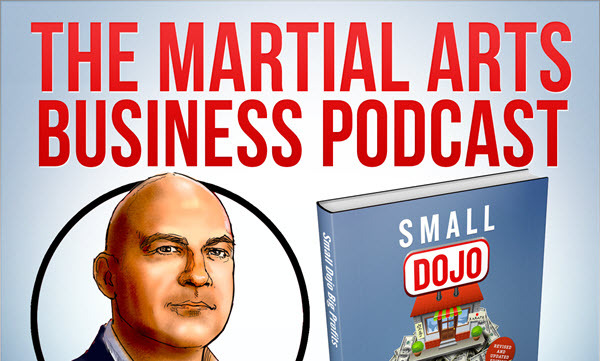 Remember that you can subscribe to The Martial Arts Business Podcast on iTunes, and if you enjoyed this show, please leave us a positive review while you’re there. Thanks!